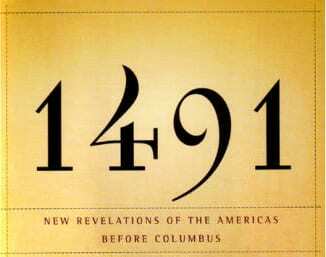 1491: A New History of the Americas, is a docu-drama series based on Charles C. Mann’s book, 1491: New Revelations of the Americas Before Columbus. I’ve been working on adapting the book into an eight part series for more than a year. Tomorrow I’m delivering the 2nd draft of the script to APTN, the broadcaster that commissioned it. It is without question the most demanding and challenging writing project I’ve ever worked on. Getting your head around 8 major themes that cover 40,000 years of history is hard enough. Making sure that the writing is respectful of the people whose history will be revealed, was my greatest concern. Including Indigenous scholars, writers, directors, technicians and producers throughout the series. Respecting the Nations whose stories will be interpreted in the series by following proper protocol in seeking and receiving permission to film in their territory. Representing theories and case histories put forth by Mann in his book as they relate to Canada’s Indigenous people. While the series will be international in scope, it must include the stories of First Nations and Inuit societies in Canada prior to contact. For those of you who are familiar with the book, “1491” presents an extraordinary thesis on Indigenous societies prior to contact. In his book, Charles C. Mann asks the question: “When does the history of the Americas begin?” For centuries, academics and historians have asserted that the beginning of “relevant” human history in the Americas began in the year 1492, with the arrival of a fleet of ships, captained by Christopher Columbus, on an island in the Caribbean. With primarily an oral history, a vast geographic domain, and profound diversity of language, culture and lifestyle, it isn’t surprising that western scholars offer Indigenous people only a brief mention in the timeline of human history in the Americas. The rise of Indigenous academia in the past twenty-five years combined with the pursuit by some archaeologists to uncover physical evidence of significantly earlier migration (15,000 – 40,000 years) of Indigenous people than was previously accepted (10,000 – 15,000 years), has led to a ground-breaking shift in the way we perceive Indigenous civilization prior to European contact. Mann’s book demonstrates and substantiates that the Americas were populated by many highly sophisticated nations of people who developed advanced systems of agriculture, commerce, mathematics, astronomy, politics, language, art and spiritual beliefs. He also reveals new theories on the ways that humans arrived and migrated throughout the Americas, and that their population in 1491 may well have numbered over 100 million inhabitants. Within decades of the arrival of Europeans, the culturally rich societies with their advanced technology and science, began to change dramatically as the result of introduced epidemics and campaigns of foreign-sponsored genocide. As a writer, I knew that this would be a challenging project and it required extensive research beyond the pages of the book itself. Thankfully, I had an exceptional researcher, Cindy Carleton, working with me again. As a former museum professional (I spent five years as the Aboriginal Liaison at the Royal BC Museum), I was interested in discovering how Mann wove indigenous oral history, historical records and archeological evidence to create a compelling picture of pre-contact Americas. As an Aboriginal television producer, I am looking forward to forging meaningful relationships with the many nations whose ancestors will be depicted in this ground-breaking series.